The Tundra model designed by Toyota has been widely popular among the customers of full size trucks all around the world and especially in the North America, where it has accounted for tens of thousands of sold unit. The interest in Tundra can be easily explained: it is a reliable truck with great off-road capabilities that can be used for variety of purposes, both in urban and rural settings. However, the manufacturer has been paying more and more attention of mid-size crossover SUVs at this point, depriving the Tundra of the attention it really deserves. At the Chicago Auto Show this year, when the Japanese automaker has unveiled the new trim of Tacoma, Vice-President of Toyota USA Bob Carter told the journalist of the Automotive News Richard Truett interesting information. Specifically, he said that the manufacturer considers providing the model with the Cummings ISV diesel engine in the 2017 version. Even though the official has not directly confirmed the innovation, it is expected that the company will continue with this plan. Since the news about the possible diesel version of Tundra that will come next year, the reviewers have been debating what engine will be selected for the “implantation.” Some of them viewed 3.9 Cummins unit as the best option while the others claimed that it was not powerful enough and predicted the model to have a 5.9-liter unit. In our humble opinion, the model will probably use the 5.0-liter engine from Cummins that is able to generate up to 310 hp and over 550 lb-ft of torque. This engine is supposed to reach 60 miles per hour in about seven second and top at around 110 miles per hour, which is impressive for the truck so large. While these are the best predictions for the standard engine, it is apparent that the automaker will provide the model with at least two engine options to ensure an appropriate selection for the customers. Some rumors had it that Toyota will not go with Cummins because the automaker is a shareholder of another manufacturer that makes diesel engines called Hino. However, these rumors are just rumors, so all we can do is speculate at this point. The engines of Tundra are more likely to be coupled with a specially designed Allison gearbox that has six speeds. Most reviewers agree that this transmission will be used as a standard on all diesel version of Tundra. As for the fuel economy figures, it is still way too early to give some figures but given that the fact that diesel engines are so efficient now, it will be interesting to see how Toyota tackles this task. 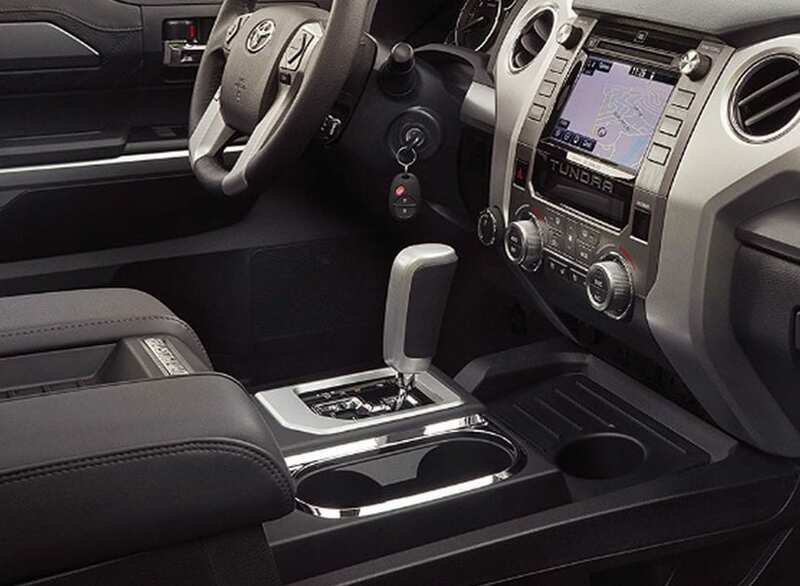 Many rumors surround the interior and exterior of the new Tundra as well. Considering the previous generations, it is safe to assume that the cabin of the model will be more upscale and sporty. More high-quality materials are to be added to the interior to bring the design to an entirely new level of luxury of full-size trucks. There is no doubt that Tundra will have all the space the customers need to have at least 6 passengers onboard along with a decent payload of traveling stuff. Also, Tundra should have a number of high-technology features, such as navigation system, standard GPS tracking system, compatibility with iOS and Android smartphones and maybe built-in Wi-Fi hotspot. 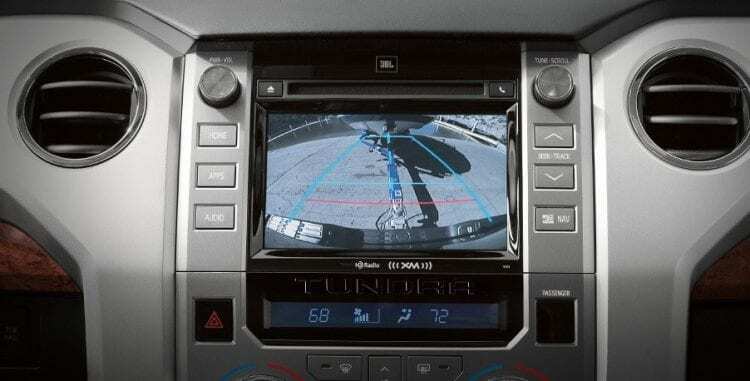 As for the infotainment system, the automaker will most probably go with the recently designed EnTune unit that has received great reviews since it has been installed on Toyotas. The exterior look will be more intimidating and aggressive, with sharp LED headlights and Toyota’s great fog lamps. Naturally, the vehicle will have a huge front grill that will be covered with chrome and possibly a new bumper. 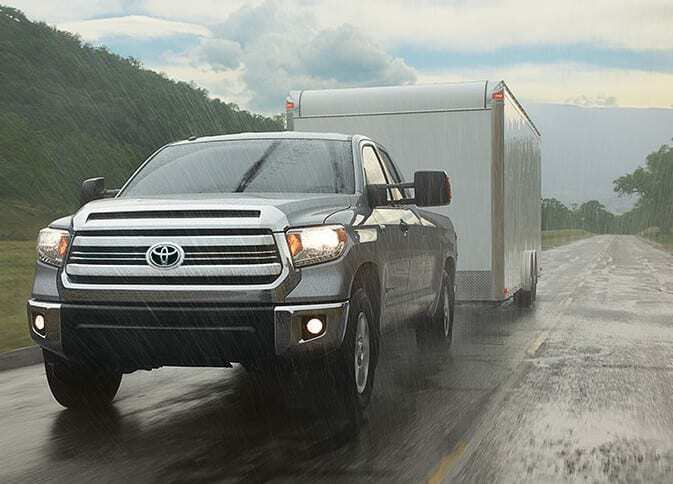 Finally, it is safe to assume that the body of Tundra will be built from a light but incredibly strong material to keep the occupants of the cabin safe. Given that all previous Tundras have received great safety ratings, the new one should not be an exception. It will feature a lot of safety functions that should guarantee an excellent protection for cabin occupants in different situations, such as traction control, stability control, numerous airbags, knee protection, daytime running lights, fog lights, heated outside mirrors, LATCH (Lower Anchors and Tethers for CHildren), Tire Pressure Monitor System (TPMS) front and rear parking assist sonar, Glass Breakage Sensor (GBS), and many more others. Many of these features will be standard. 2017 Tundra will become the first model to include the diesel, which means that it will be on the top of the range. Even though we do not have many details about the vehicle, it is apparent that the manufacturer wants to open a diesel branch with an exciting and powerful model that should be popular among fans of full-size trucks around the world. The price for the new 2017 Toyota Tundra Diesel is also unknown at this point but we are expecting to get some more details when it will be unveiled next year, possibly at the 2017 Detroit Auto Show. Do not expect the price to be low because the vehicle has a lot of expensive competitors and will be released in high-end trim levels. Some reviewers expect to see the price around $40,000, which seems reasonable compared to the other trucks on the market, such as Chevrolet Silverado, Dodge Ram, and Ford F-150. Also expect to find some additional packages that increase the price by a thousand or so because they become very popular among trucks these days. 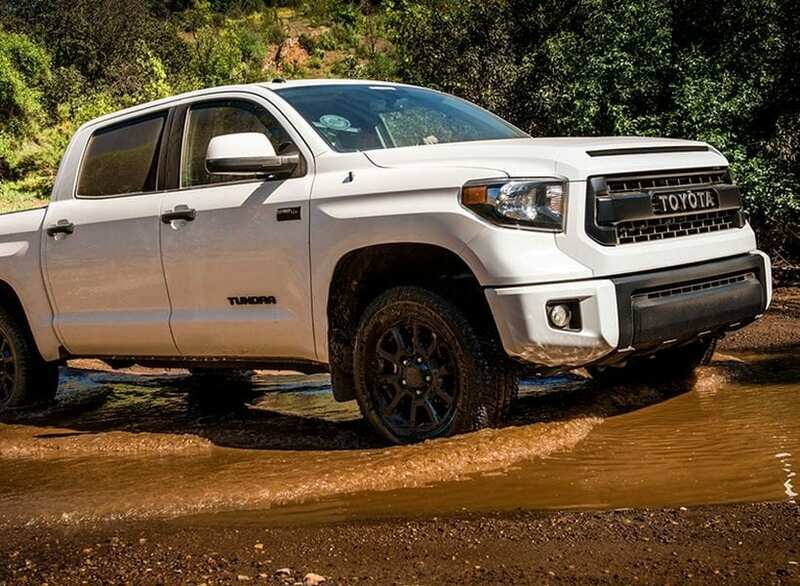 The release of the new Tundra will undoubtedly be a big event for Toyota and fans of trucks because it is considered one of the best models on the market at the moment. Given that Toyota never fails with the features and equipment, it will be interesting to see what they have done and we cannot wait to review it with the full information available.